You used to be able to get lost in the crowd, but not anymore. This is a photograph of 2009 Obama Inauguration. You can see IN FOCUS the face of EACH individual in the crowd !!! You can scan and zoom to any section of the crowd. . . Wait a few seconds. Double click anywhere. And the focus adjusts to give you a very identifiable close up. The picture was taken with a robotic1474 megapixel camera (295 times the standard 5 megapixel camera). Every one attending could be scanned after the event, should something have gone wrong during it. The resolution isn't that good. I can remember when I first took digital signal processing in 1979. I had a Nikon FM SLR camera (fully manual) and a Harmon Kardon amp with a Garrard turntable for my LPs. I proposed in class that soon all photography and music would be digital. Half the class laughed. Where are they now? I'd love to be able to say "Told you so!!!" It's only a matter of time before consumers can get this kind of power. But already I can look at a satellite image of my home, and see my van in the driveway. THAT is scary. About 20 years ago.. American P3 pilots and crew held in China for interrogation.. Apparently they didn't believe my dear friends were taking pictures of the Great Wall for postcards.. I would like to claim they came to my bar for a drink to unwind after... Truth is, they were gone..Next flight back to debrief.. No passing go.. Seriously, this is probably the best pan I've ever seen, and it is NOT top tech. If we lowly consumers can see this, it's already years-old technology. Maybe decades. And by the way, this is now available - for for under $900 you can buy a unit that does this. Check out the blue bar across the top of the pic - on the right, where it says: "Make your own GigaPans with the low-cost GigaPan Epic". There's a click-on link. This type of imagery is available to you and me - now. I can't figure what use a private individual might get out of this, though. It's all about being able to get a closeup without being close up. Paparazzi love this kind of stuff. You can be in a tree three yards away and get great detail. Me personally? 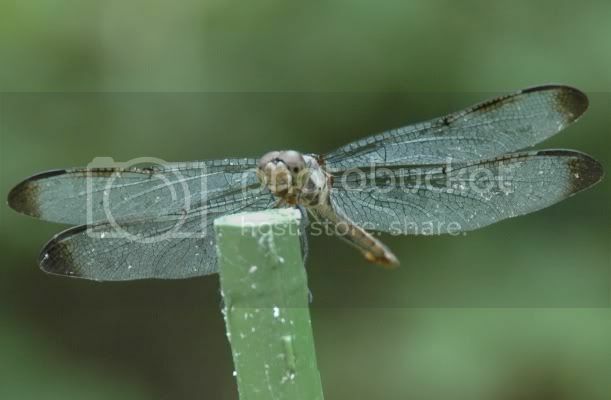 I use my high resolution Nikon digital SLR to take photos of things that I can't see with my naked eyes. But if I run straight to my computer and download, I can see the detail I want to see. I just posted such a picture in another thread. Here are a few examples. Basically I've cropped what I wanted. 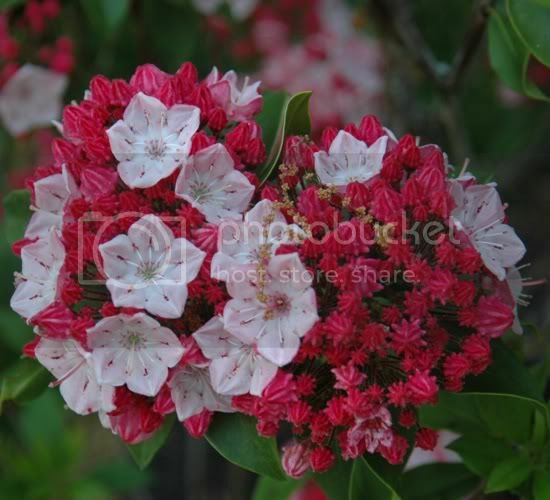 One of my mountain laurels. It took me years (and hundreds of bucks) to get just 3 bushes living and then blooming in my yard. But it was worth getting this Virginia native finally to take hold.